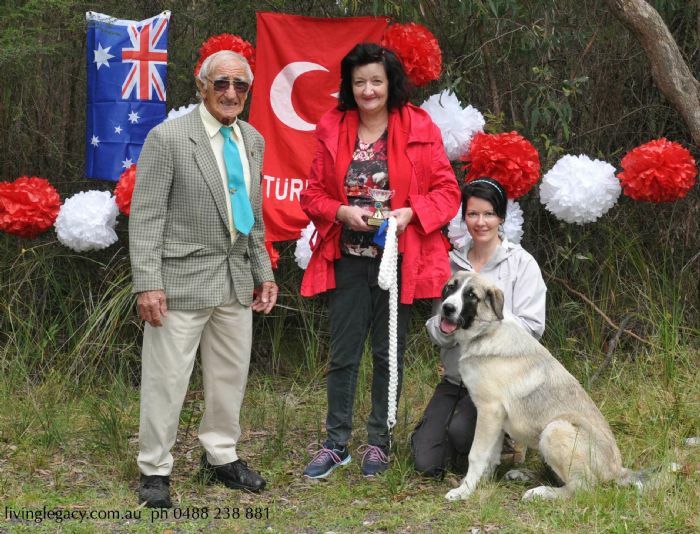 and represents the bloodlines of Turkish native shepherd dogs, hand selected by Takas in Turkey to best match the requirements of Australian dogs. 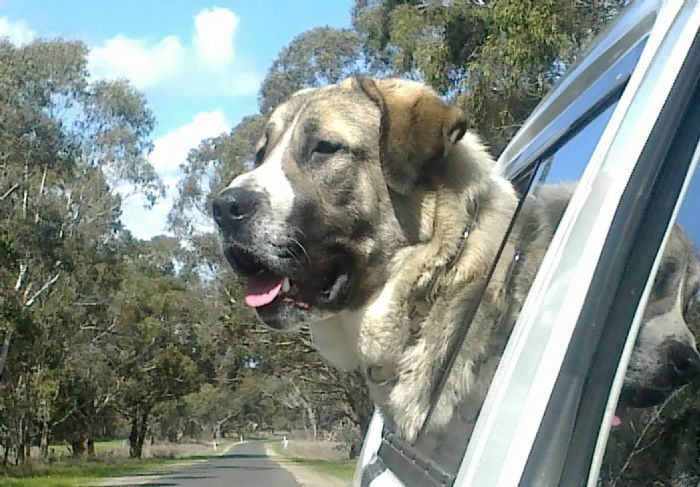 TYSON OF DENIZLI - robust and strong at 12 years old, and KURTBOGAN TALAZ - long standing working Kangal family from Sivas. Upstanding with a strong back and rear; beautiful head, broad skull with deep muzzle and dry flew; Potemkin is a handsome young Anatolian and I'm pleased with the direction of his breeding. Potemkin has proven himself to be a versatile sire, his progeny are family guardians, Working Stock Protection Dogs and Australian Champions.